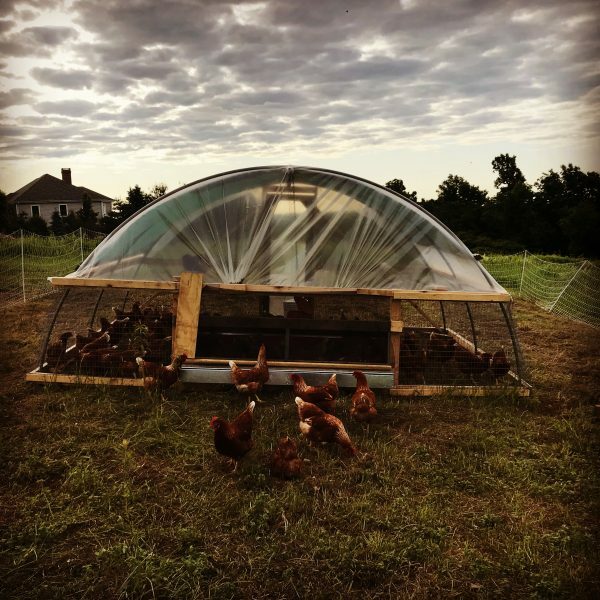 Happy hens make happy eggs, and a happy (mentally) healthy farmer. Unfortunately, the ladies and I have yet to fully reach that agreement. Chickens aren’t known for their smarts, but I swear we got the extra simple chickens this season. The eggs at least are quite delicious and prolific, it’s just that I have to retrieve them (the eggs and the chickens) from everywhere. Just today, as we were finally putting the wheels on this far too large of a coop, a chicken who was sitting on the perch immediately outside the nest box shot an egg out as we watched (literally while we were thinking ‘she looks like she’s trying to lay an egg, but she would never lay there right?’). Me and 8 chickens chased the egg as I swear it ping-ponged around the coop and started rolling down the hill. Fortunately (unfortunately?) I’ve had a lot of practice catching chickens lately so I beat them to it before they could eat it. Yes, chickens will eat their own eggs (see sentence 3). And that’s just the tip of the chickenberg – if you have a couple hours, come up sometime and ask me how else these ladies have brought me to my knees a few times already. If I had to monetize how much labor and frustration these eggs have been, I would have to charge a million dollars to break even, so they’re a steal at $6/dozen! Having tamed the older flock almost a year ago now, it took me a while to remember how challenging they are when they first arrive. The good news is they’re pretty much maintenance free at this point, which makes this farmer quite happy! Along with the million dollar eggs, we have a limited selection of veggies available for purchase. It’s greens season, get them while they’re at their best! 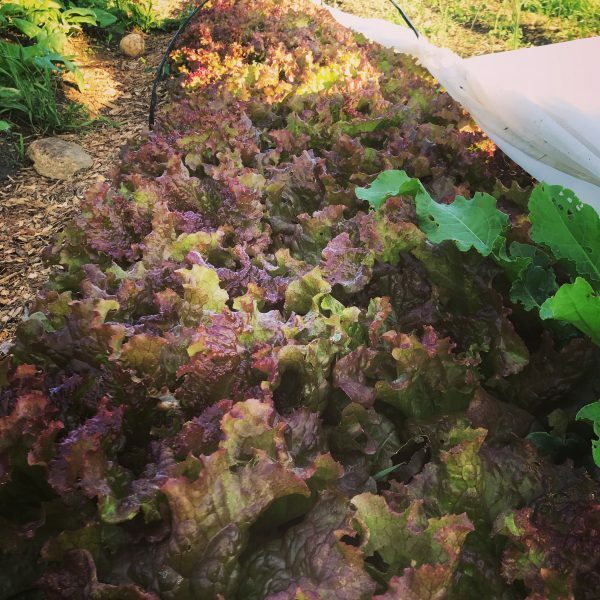 The lettuce especially has been incredible. And my apologies for the late notice, but I’ve been chasing chickens! Put your orders in online before 8am Monday. We’ll have your order available for you to pick-up from 4-7pm Monday on the farm at 64 Potter Hill Rd in Grafton. Pickups are in the long white garage on the left across from the big red barn at the crest of the hill.